I have been doing a bit of a deep dive this year on both Dustin Hoffman and Robert Redford, and with last month's review of Marathon Man I stumbled upon a director, John Schlesinger, I honestly did not know off before viewing the film. Deciding to correct that wrong I went back and picked his most known film, 1969's Academy Award for Best Picture winner, Midnight Cowboy. The story follows Joe Buck (Voight), a young Texan that moves to New York City to become a prostitute. He hopes to fulfill the needs of all the wealthy women left behind due to the rise of homosexuality in the city. Once in the city he quickly realizes that things are not going to be as easy as he thought and he reluctantly accepts a business relationship offer from Ratso (Hoffman), a con man that took $20 from him on the first day. Through living and working together an unlikely bond forms between the men, leading Joe to rethink his plans of being a prostitute. Waldo Salt adapted his screenplay from a James Leo Herlihy novel of the same name. Salt managed to pack in a lot of subtle and not so subtle information in the hour and fifty-three-minute runtime, making it a highly complex character story and a snapshot of a City transitioning from the 60s to the 70s. I loved how we are introduced to Joe as he is making his way to New York City. His bus rides and doe-eyed illusions of his future as the new prostitute in town lets the audience know who our protagonist is and how the challenges of the city will change him. His relationship with Ratso starts as a funny one, as the audience can see he is playing Joe for a fool, but as it evolves their bond and love for one another feels natural and frankly unavoidable. The homosexual-undertone throughout the film was something I had no clue about coming in, and I found it to be fascinating how Joe's "cowboy" clothes represent a persona he is portraying to the world, a "real" man, as cowboys where the epitome of masculinity. He says multiple times in the film that he is not actually a "real cowboy," an accidental confession of the truth. A truth he himself cannot yet accept. When he cannot rise to the occasion in bed with Cass (Miles) only her ridicule and accusations of him being gay makes him perform out of anger and shame of being perceived as lesser. 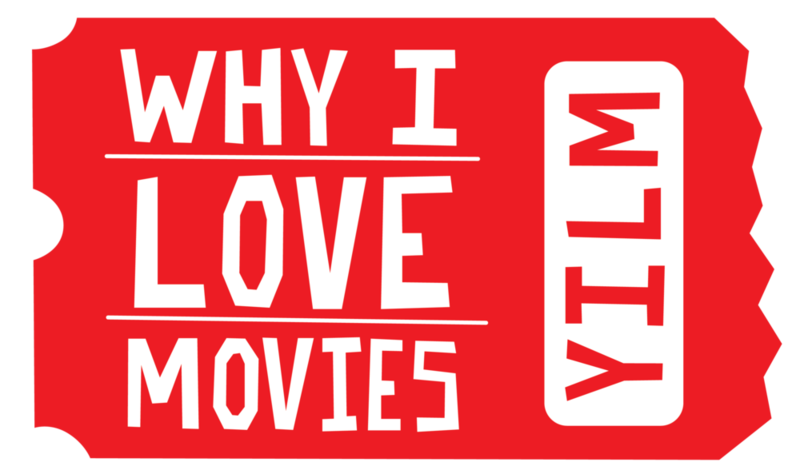 This anger and shame boils-up and takes control as he brutally beats a kind old gay man that picked him up for the company towards the end of the film. All of this culminates when he leaves NYC for Florida because Ratso, now extremely ill, wants to move down there. So, Joe gives up his dream to be with his partner, and when he reaches Florida, he takes off his cowboy clothes finally accepting who he is and what Ratso means to him. Schlesinger utilized the city to his advantage, as it is a character onto itself. From the dirty subways to the overcrowded sidewalks of people business suits that make Joe stand-out with his cowboy attire. Joe's memories of his childhood and relationship feel like nightmares haunting both Joe and the audience. Jon Voight's performance as this simple man that is easily fooled by the world and at times by himself is needed to balance out Dusting Hoffman's performance. Hoffman looks as if he crawled out of a sewer with his greasy jet-black hair and the permanent sweat brow on his face. Only someone as innocent and naive as Joe would think Ratso is someone to be trusted. Their chemistry is palpable and their connection is what makes the audience ultimately root for them. Midnight Cowboy is far from an easy viewing as it is not afraid to show the dark and seedy underbelly of New York City, and the fear of homosexuality that led to violence and bigotry. Schlesinger never shies away from showing the flaws of his character, and ultimately those are the things that endear the audience to them. Voight and Hoffman are fantastic in their roles, and they elevate a stellar script and give career defining performances. This film holds up beautifully, and you should seek it out. 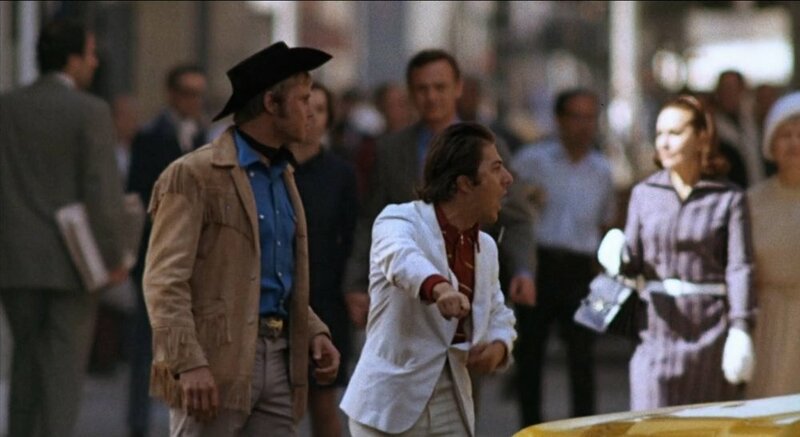 Midnight Cowboy is Why I Love Movies.